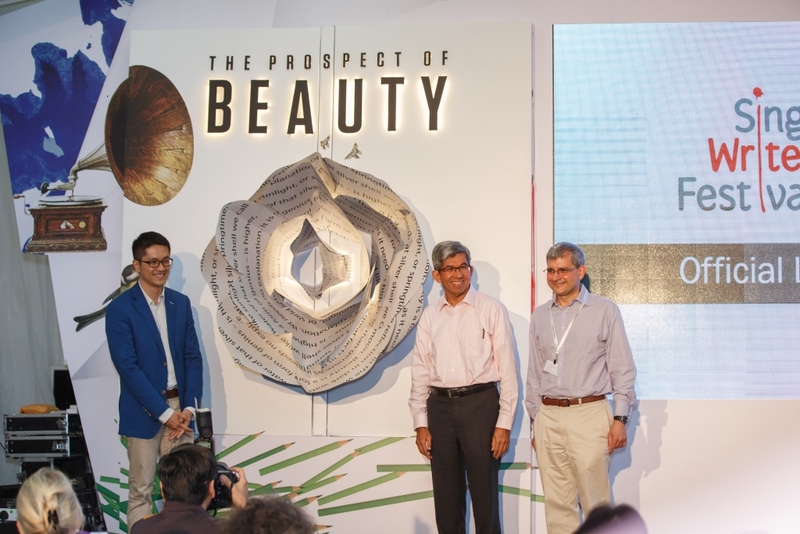 Singapore Writers Festival (SWF), Singapore’s most anticipated literary event, is back this year with an exciting line-up of authors and programmes centred around the theme ‘The Prospect of Beauty’, which promises to celebrate beauty in writing, literature and the world around us. Held from 31 October to 9 November, the Festival features a riveting line-up of over 200 Singapore and international writers participating in more than 280 events that comprise panel discussions, lectures, poetry readings, literary meals, film screenings and more. In its 17th edition, this year’s Festival boasts some of the world’s literary greats such as Paul Theroux, American travel writer and novelist; leading figure in the feminist movement, social critic and political activist Naomi Wolf; Raymond E. Feist, science fiction and fantasy author; Karen Joy Fowler, best-selling writer and most recently long-listed for the Man Booker Prize; Irish poet Paul Muldoon, winner of the 2003 Pulitzer Prize for Poetry; three-time US Poet Laureate Robert Pinsky; Jonathan Lethem, best known for his genre- bending fiction; Barry Lopez, often regarded as the most important living writer on nature and human culture; William T. Vollmann, American journalist, novelist and war correspondent; and prolific women’s fiction author Adele Parks. To cater to the growing list of programmes, this year’s Festival also welcomes two new venues. For the first time, thanks to a bigger programme, Little Lit!, the Festival’s children’s programme, will be held at the Children’s Wing of the National Museum of Singapore. Another new venue is Centre 42, the newly opened space for playwriting and original theatre content. As the Festival remains one of the few multi-lingual literary festivals in the world, SWF 2014 also features an impressive line-up of Malay, Chinese, and Tamil authors as well as programmes. Some of the headlining authors include Zhang Ling (China), best known for Aftershock, which was adapted into an award-winning film; Su Tong (China), author of Wives and Concubines, the inspiration behind the film ‘Raise the Red Lantern’; Mai Jia (China), affectionately known as “the father of Chinese suspense”; Evelyn Rose (Malaysia), author of two novels adapted into popular drama serials; and feminist poet and filmmaker Leena Manimekalai (India). There will also be Literary Seminars conducted in Chinese, Malay and Tamil, while the Festival’s annual accompanying Publishing Symposium will host two sessions on publishing for the China and Malaysia markets. Curated by The Arts House, this year’s Fringe explores the lengths an individual is willing to go in pursuit of truth, freedom and justice. Under the theme Truly, Madly, Deeply, writers, journalists and activists will discuss how their convictions have driven them to go to extremes. From Mukesh Kapila, former head of the UN mission in Sudan, to Solahudin, a leading authority on Islamic extremism in Indonesia, the Fringe will bring audiences on a thrilling journey of sacrifice and obsession. There will also be a panel discussion on Gabriel García Márquez, and a special screening of the film adaptation of Love in the Time of Cholera. Ticketing details and updates are available on the Festival website at http://www.singaporewritersfestival.com, and the SWF Facebook page at http://www.facebook.com/sgwritersfest. Festival Passes and tickets are available via SISTIC at http://www.sistic.com.sg and at http://www.bytes.sg. Posted in Authors, Book and tagged Dr Yaacob Ibrahim, Paul Tan, Singapore Writers Festival, Singapore Writers Festival 2014. Bookmark the permalink.